A well-timed cold snap has let Harvard scientists capture rapid evolution in close to real time. They have measured changes in the DNA, gene expression, and cold tolerance of a species of Anole lizard, which ranges from the Texan desert to Oklahoma and North Carolina. Why it matters: This study, published Thursday in Science, shows that extreme weather events can noticeably change a population in as little as one generation. As the climate continues to change, extreme weather events like this one will become more common. It's important to understand how species will respond — both on the organismal level and population level, and the genetic level. Charles Brown, a behavioral ecologist who was not involved in the study, told Science the research was "one of the only real examples in which the genetic mechanisms behind these rapid evolutionary events have been shown." 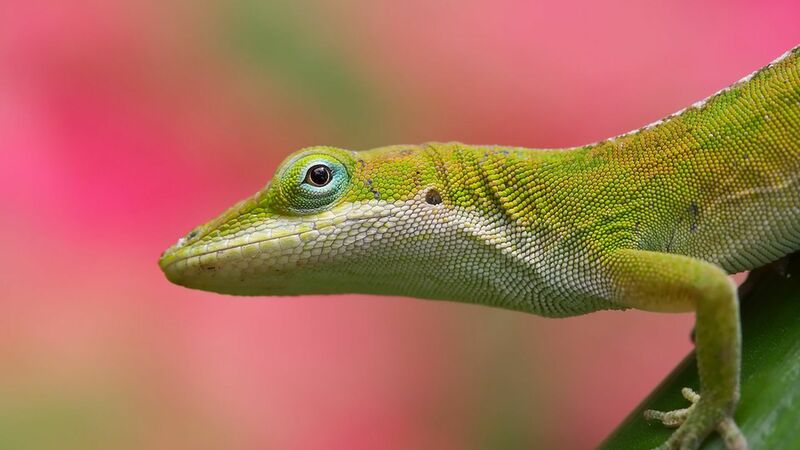 This sort of intimate look at natural selection in action is rare: In this case, it was only possible because the researchers had just finished cataloguing genes, gene-expression, and cold tolerance of five groups of anole lizards over a range of 800 miles. He wanted to know what adaptations allowed them to survive in such diverse temperatures. After the massive cold snap killed off many Anole lizards, the researchers went back to document changes. What they found: The second time the researchers looked at the anole lizards, the southernmost populations had changed significantly. They were more coordinated in cold weather, and their active genes more closely resembled the genes of the Northern, cold-hardy populations. This doesn't mean lizards won't be harmed by climate change, cautioned Shane Campbell-Staton, an author of the study, in a statement. "Selection always comes at a cost, which is death, basically," he points out. It's possible that the genes to survive something like a heat wave died off with some of the lizards in the cold snap.